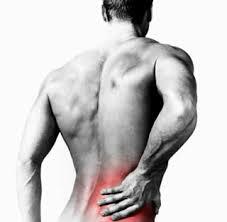 Sciatica is a problem that can lead to the patient suffering from severe sciatica nerve pain that is not just uncomfortable but can also destroy the normal semblance of life for him/her. There are several sciatica procedures recommended to treat for this condition so that the patient not only gets respite from the pain but also puts a stop at the condition getting worse. Usually doctors prefer non-surgical and alternative treatment methods for sciatica. Sciatica surgery is only considered as an option when the pain is severe and does not get any better within six to twelve weeks even after regular alternative treatment methods. Microdiscectomy: Also known as small open surgery, this procedure is considered when sciatica pain is caused by lumbar disc herniation. In this procedure the part of the herniated disc that is pinching the nerve is removed with the help of a surgical microscope. Lumbar Laminectomy: Often considered as the surgery of choice when the patient is suffering from sciatica pain due to lumbar spinal stenosis. This procedure is also known as open decompression and according to health studies almost 70 to 80% of the patients experience relief from the sciatica nerve pain after this operation. Acupuncture: Approved by the US. FDA, this treatment method is one of the most popular options for back pain. Based on studies as well as health surveys, The National institutes of Health recognize this practice effective in relieving back pain. Chiropractic Manipulation: This spinal manipulation is performed by expert and certified health professionals like chiropractic, physical therapists as well as osteopathic physicians. This technique focuses on the proper alignment of the spinal column which in turn leads to a better healing environment. Massage Therapy: Massage therapy is termed extremely effective in the treatment of back pain and also provides other benefits like relaxation of muscles, increased blood circulation as well as the release of endorphins.